What’s your elf been up to these days? Is he getting a little bored just sitting on the shelf? Check out these fun ideas for inspired poses and mischief. There are enough suggestions here for several Christmas seasons. The little guy knows everyone who is anyone and he shows up in all the best places: he hides in the freezer, lifts weights, raids the candy box, drives cars, plays games, sunbathes he even flies. Elf gives out chocolate kisses so there’s a free kissing booth printable in this collection plus there’s an explanation of how to make your elf more bendable. Snag these awesome downloadable Elf on the Shelf letters to enjoy with your family. Take a peek at these letters from Santa as well. Give your elf a pal by creating this fun toilet paper snowman. This would be super simple to put together after your child goes to bed, so no worries about being up all night creating something. Easy and quick! Delight your child with a few of these ideas this Christmastime. These creative ideas are sure to please. Many of these just involve using a few things from around the house, making it easy to put them together in no time. These ideas are super creative and involve a lot of the things that your kids love. 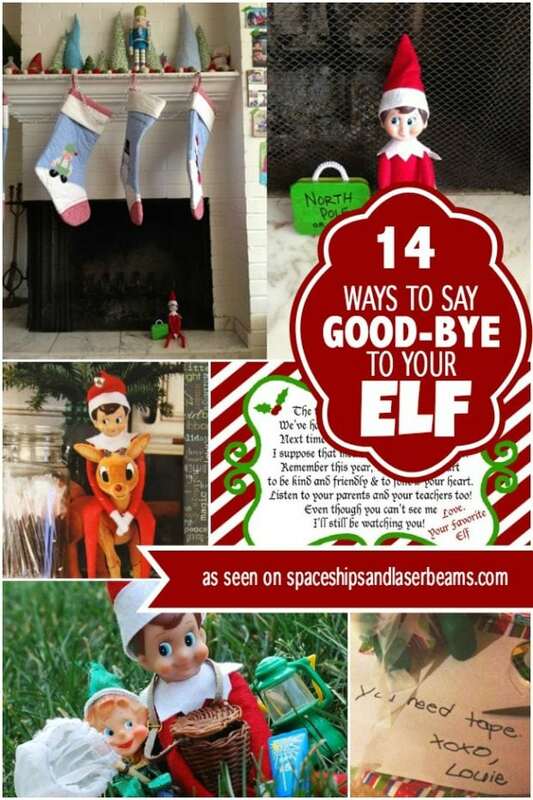 From games to television shows, all of these ideas are perfect for your elf friend. Pick your favorites and get ready for a fun month. To get your elf into shape for all of the fun he’ll get into during December, you might need this handy tutorial. These are directions on how to make your elf a little more bendable that way you’ll have no problem creating his scenes of mischief all month long. There are also some great tips for some additions to your elf. This is an expansive list of all the things one elf can achieve over a few years. If you’re in need of some inspiration this Christmas, definitely give this site a visit. You’ll be sure to find something that will wow your kids when they find their elf in the morning! This is a super cute and free (score!) printable that’s perfect for your elf! Simply print this out and situate your elf. Surround your elf with chocolate kisses and all set. Your kids will have a fun treat and cute surprise. This is a list of simple, but fun elf ideas. Try and recreate these with objects in your home. You definitely won’t need to go out of your way to create some fun for your elf with these ideas. Gather up your family’s elf and all his friends for some friendly competition. Put some of your kids favorite toys together in a race to see who will win. Your kids will be delighted to see what all of their favorites have been up to when they awake in the morning. This site has an entire page just dedicated to creative elf ideas. If you’re ever in need of some last minute help when setting up your elf this year, this is where to look. Just by using simple things in your home, you can have a fun set-up in minutes. Set your elf up to look like he’s played tic-tac-toe all night long, or have him playing with your kid’s favorite toys. This has plenty of inspiration to keep your elf busy for all of December. Take these ideas and make them your own depending on what your children love! With so many ideas for your elf’s mischievous doings, you’ll have a hard time picking out your favorites. These are not only all super fun, but really easy to recreate as well. This means you’ll spend less time picking up the mess your elf makes and spending more time with the kids. From marshmallow bubble baths to decorating family photos, your little elf can also get up to this much fun. Your kids will have fun during the month of December seeing what your elf gets into every night. Use this for some inspiration. Don’t let your elf collect dust by sitting in the same place all month, try out some of these adventures instead. From flying planes to piloting hot air balloons, your elf will have his or her fill of adventure this year. They’ll definitely be ready to head back to the North Pole by Christmas. Have your elf take down the Grinch this season by capturing him and making sure Christmas is safe. Simply place the Grinch into a jar and place the elf on top for an easy set-up. What are some other ways your elf could get the Grinch this season? With all of these fun poses, it will be hard to choose which ones your elf will do this year! Your elf will be all over your home and will be into all kinds of fun this December. With these poses, your kids will be excited to find your family’s elf each morning! Give your elf some accessories and toys this season! If your kids love Star Wars, they would love to find their elf with a light saber. This is super easy if you already have Star Wars toys lying around the house. If they love something else, simply place it with your elf and you’re good to go! Be ready to amaze your kids with no photoshop at all necessary! Snap a picture of your elf flying around your home this season with some floss and tape. It’s super simple and will have your kids talking about it all Christmas long. Celebrate the holidays with these festive craft ideas gathered by the team at Spaceships and Laser Beams. Check out these great holiday DIY ideas to keep you and your kids busy.